ancient city are down on the shore about a mile off. 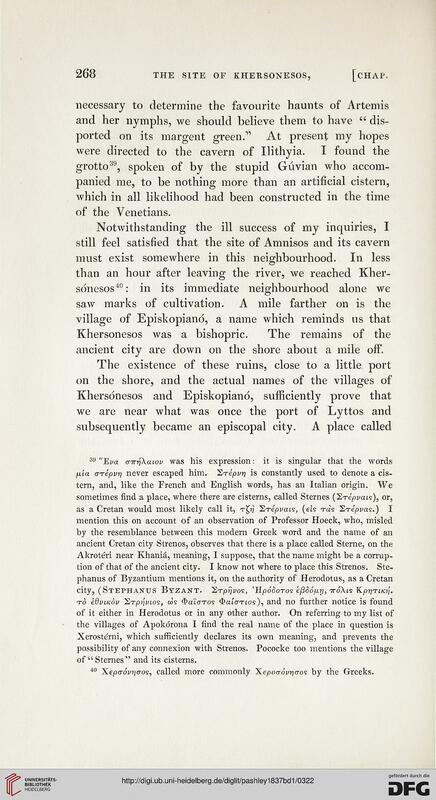 city, (StETHANUS ByZANT. Erpj/yos, 'HpoSoTOS e(3S6p.ri, 7T0AIS KpjjTl/o/. 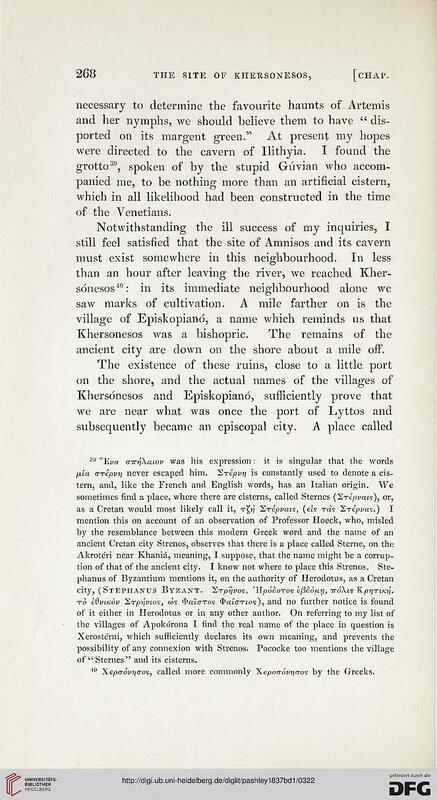 of "Sternes'" and its cisterns. 40 Xepa-ovtjc-os, called more commonly Xepotrovticros by the Greeks.